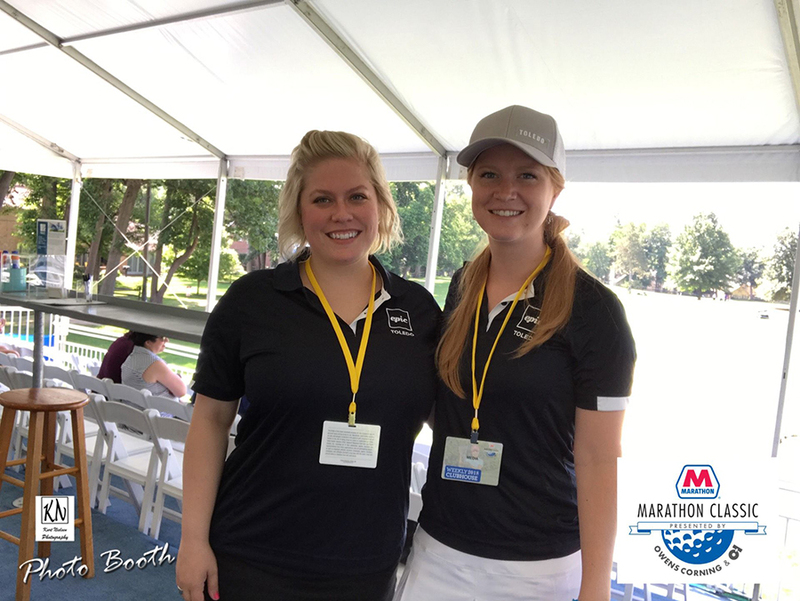 Toledo is all abuzz about the LPGA Marathon Classic this week at Highland Meadows Golf Club in Sylvania. 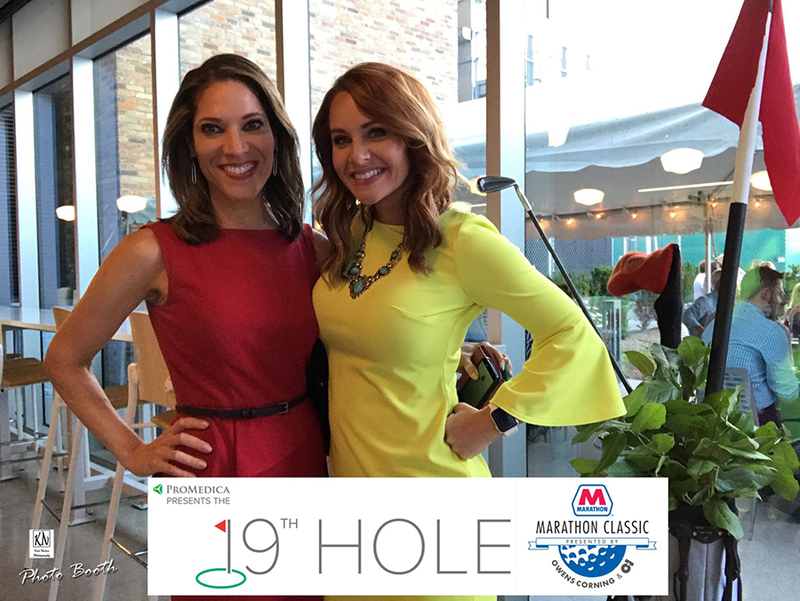 Not only does this women’s golf tournament bring notoriety to Toledo, it also brings in millions of dollars into our local economy. People come from all over the world to the Toledo Area to be a part of this event. But what I love most about it, is that it raises money for local children’s charities! 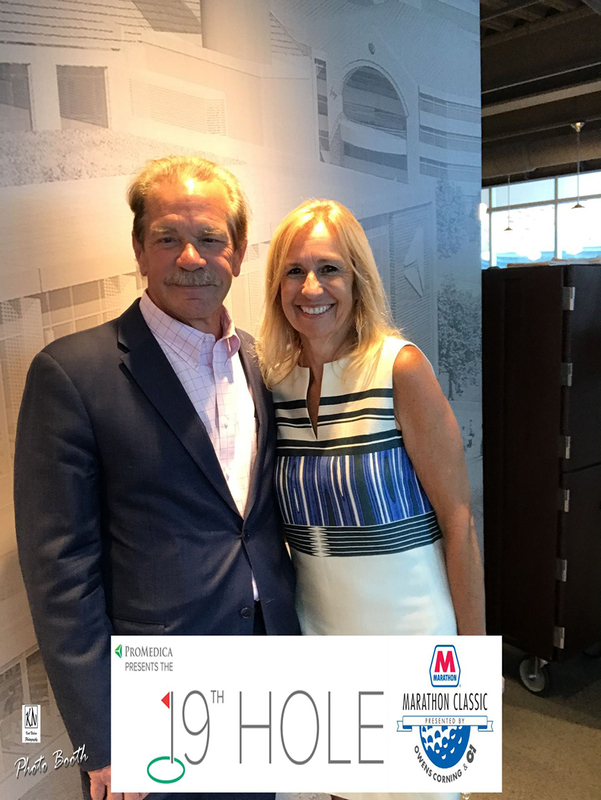 The very first tournament in 1984 was underwritten by our local McDonald’s Restaurants franchise owners and helped raise money for the Ronald McDonald House of Toledo! They have been a core recipient ever since and one of my favorite charities. 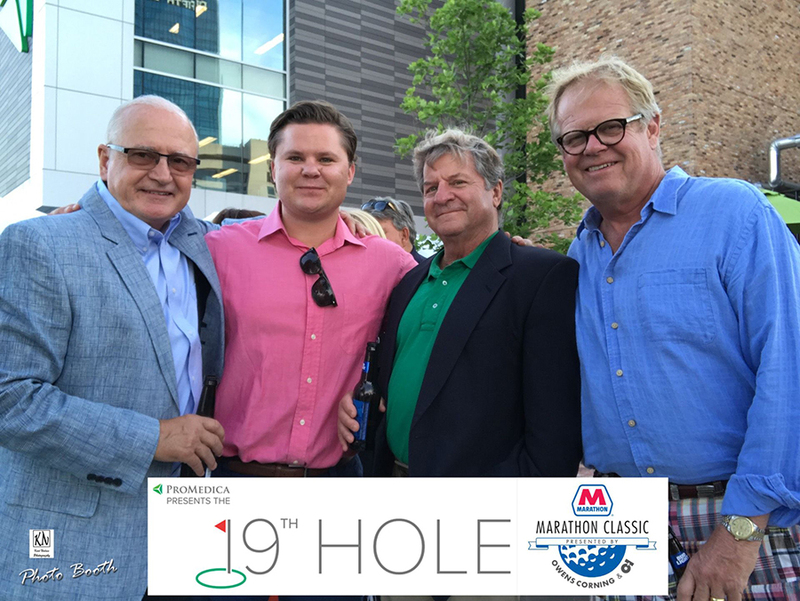 This tournament has since raised over ten million dollars that it has given to 170 children’s charities in our area. 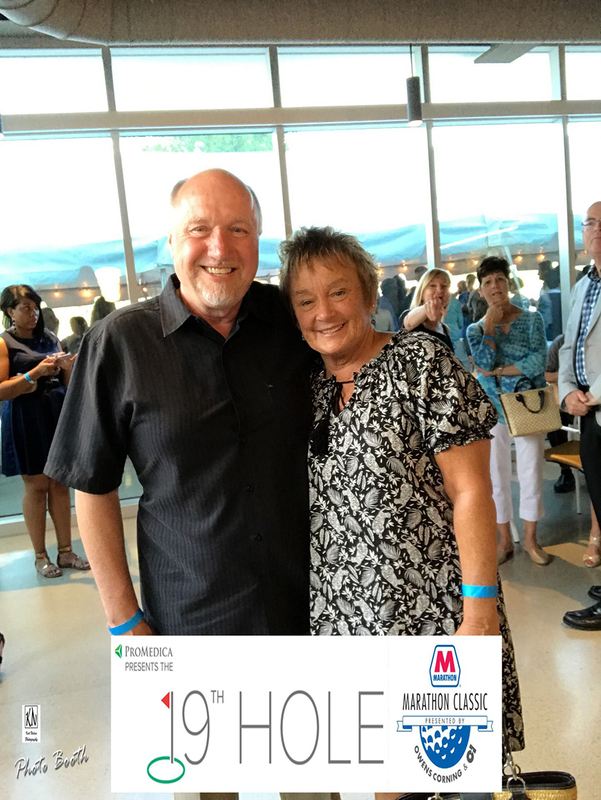 On Tuesday night, the Marathon Classic Presented by Owens Corning & O-I held it’s New Gala Party: ProMedica presents The 19th Hole – A Party with the Players Benefitting the Children at ProMedica Headquarters in Downtown Toledo. 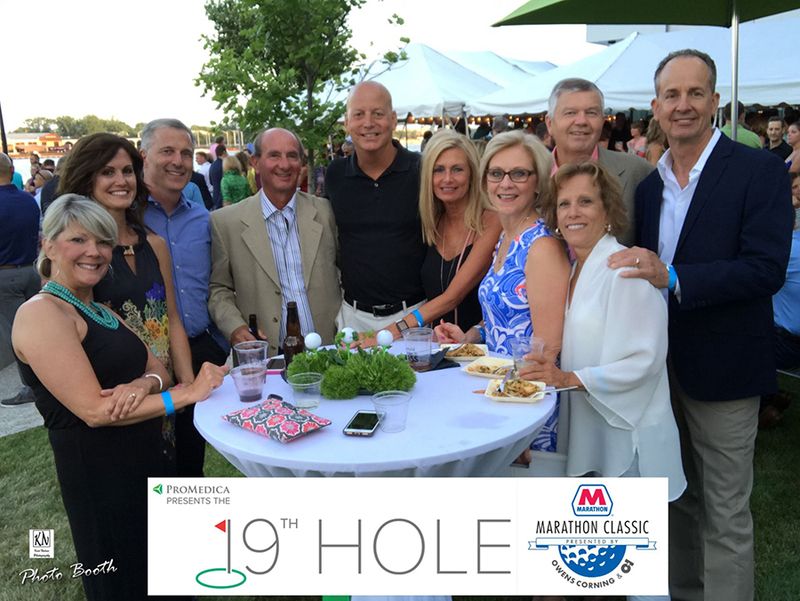 Over 1200 people were in attendance, including many of the favorite LPGA players and local celebrities. 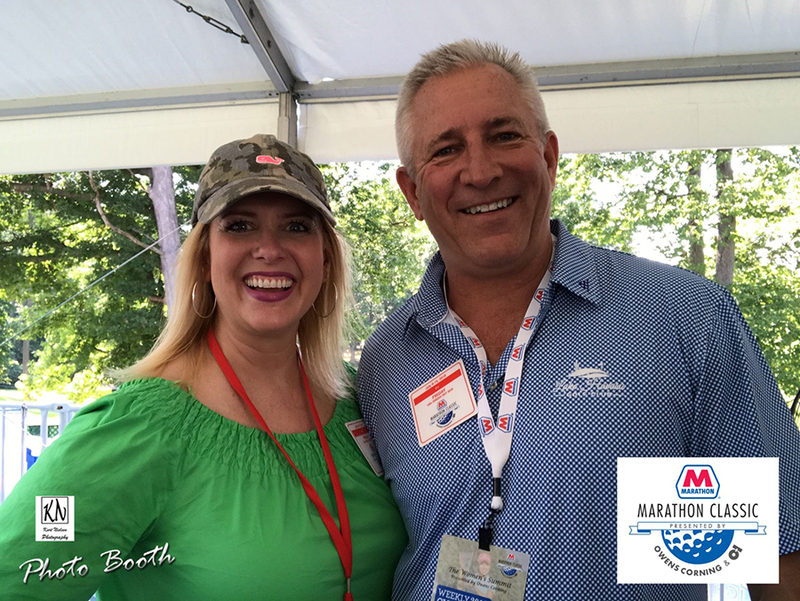 Main Street Ventures provided the delicious food and The Pinnacle served up fabulous beverages. Attendees could practice putting and chipping and also take part in the golf simulators. The Toledo School for the Arts provided the musical entertainment for the evening. 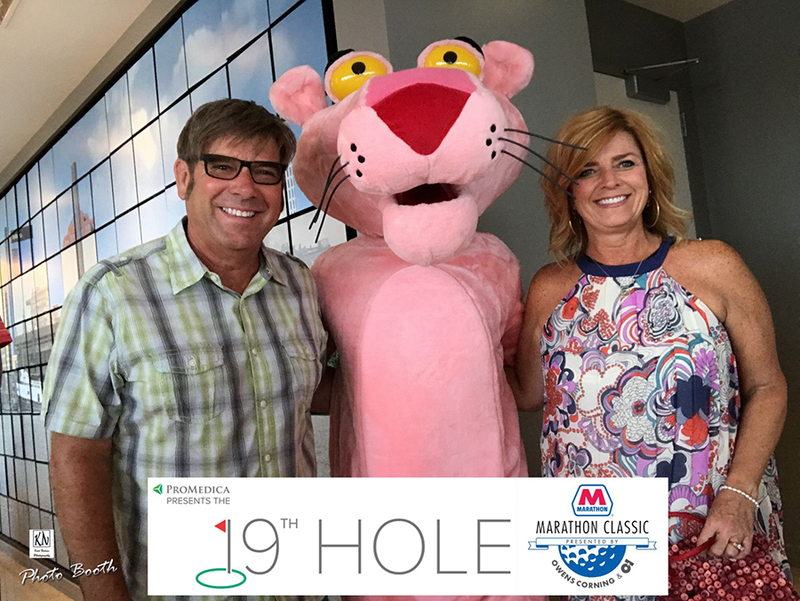 I took my new Walk-About Social Booth and took some great selfie photos of those attending the gala. 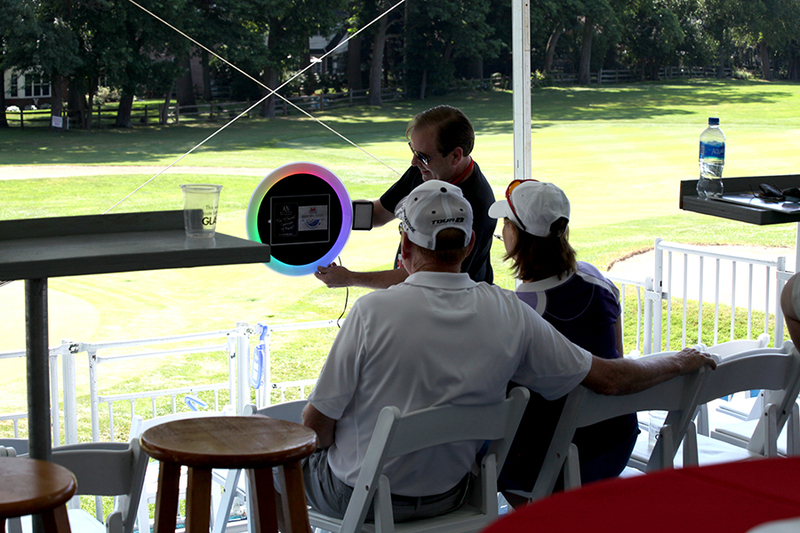 On Friday, I took my portable photo booth to the 14th hole at Highland Meadows. This is where the famous Labatt Blue Light Party Deck at Club 14 is located. 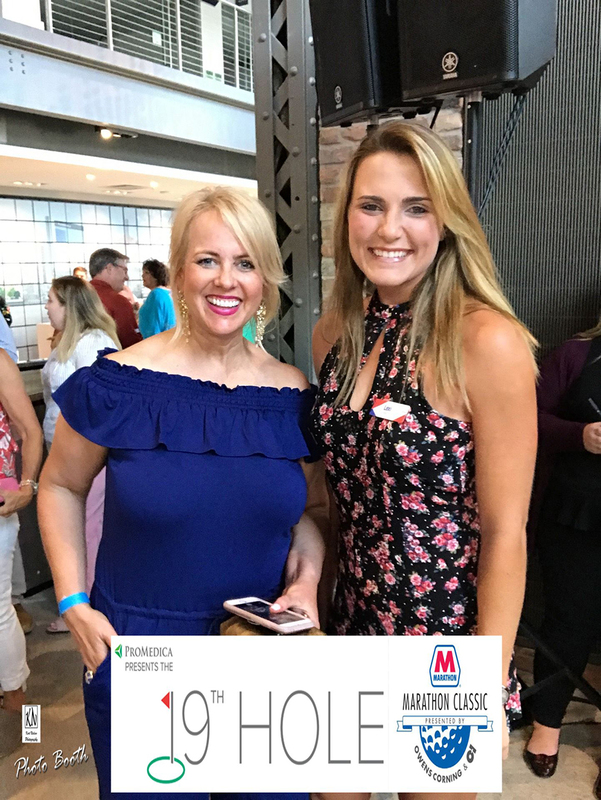 As an added feature this year, the Toledo Regional Chamber of Commerce, Sylvania Chamber of Commerce, and Epic Toledo hosted the new Chamber Canteen. 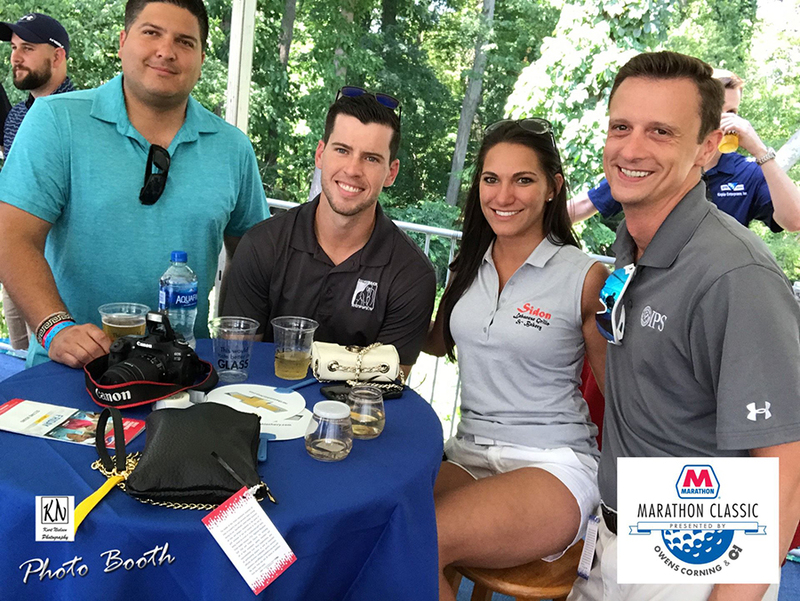 Both covered seating and viewing areas provided a fun atmosphere to network and watch and interact with the golfers. The caddy races were definitely the crowd favorite! 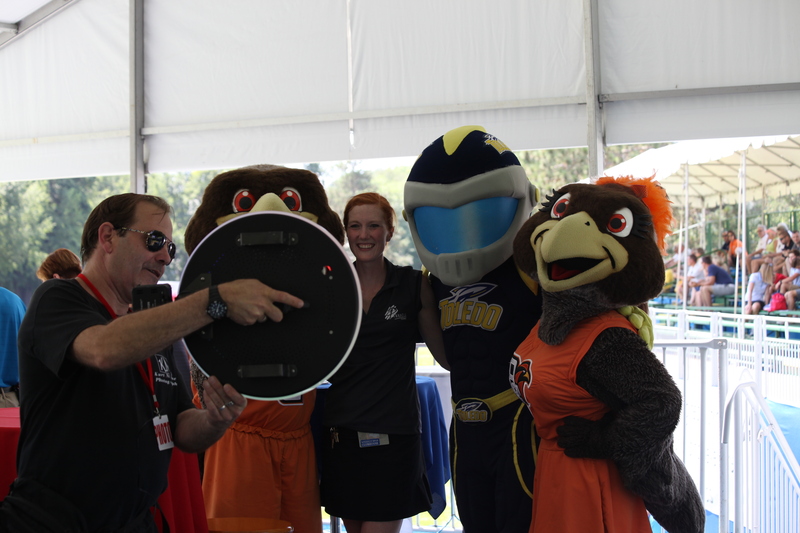 Friday was also Mascot day at the golf tournament. 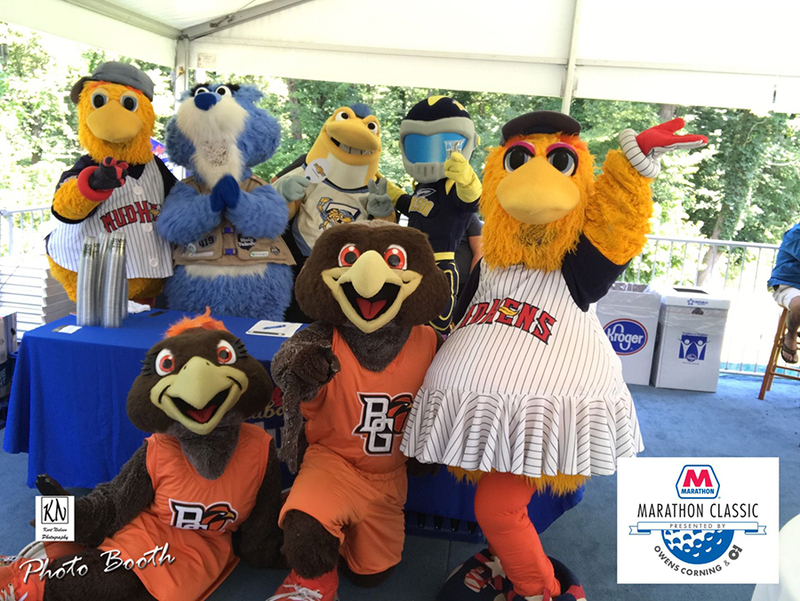 Muddy and Muddonna from the Toledo Mud Hens, Spike and Cattrick from the Toledo Walleye, Rocky the Rocket from the University of Toledo and Freddie and Frieda from Bowling Green State University stopped by for some fun selfies. 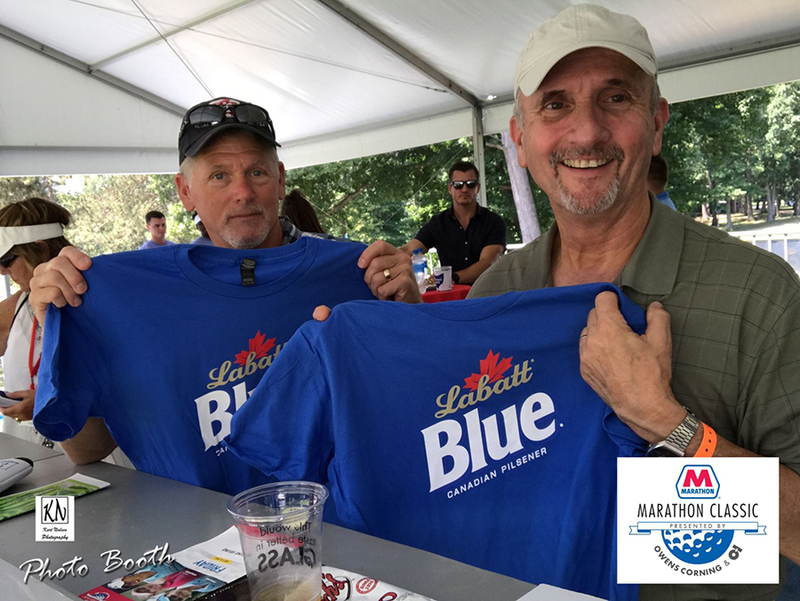 The Labatt Blue girls and Detroit Pistons Cheerleaders were also present and posing for selfies and passing out swag! I’m pretty sure a good time was had by all at both events! Feel free to make comments below and/or share this blog post. Pin your favorite images to your Pinterest board! Read what my past customers are saying about me on The Knot and Wedding Wire! This entry was posted in Charity Event, Event Photography, Kurt's Causes, photo booth and tagged bgsu, Charity Events, detroit pistons, event photography, golf, highland meadows, labatt usa, lpga, marathon classic, Photo Booth, Promedica, roaming photo booth, strolling photo booth, sylvania, toledo, university of toledo. Bookmark the permalink.